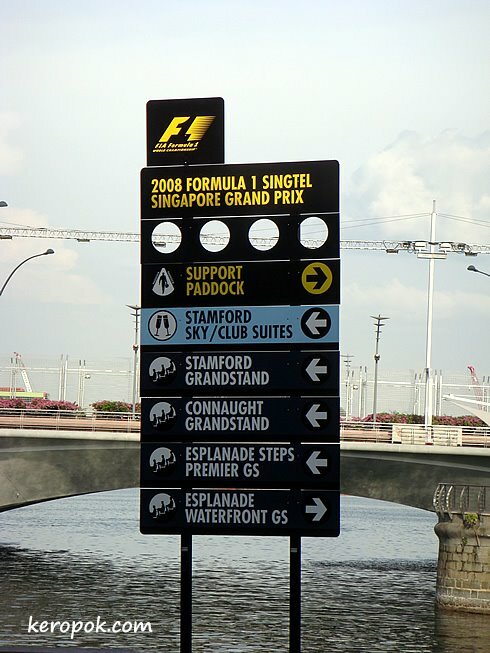 A walk around the the race circuit you can see things are almost done. Signs are up. Portable toilets are ready too. Has anyone used this kind of portable toilets? I have always wondered how they look inside, but never really want to open the doors. haha..
Sherry is right. You're much better off using a toilet in Suntec City or Citylink Mall or Raffles City Shopping Center. 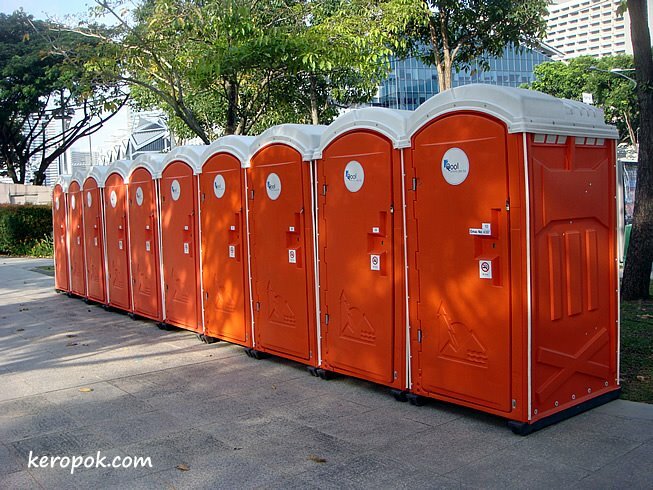 Mobile toilets are a must for such mega events. And construction worksites of course. You should count the numbers going in versus those coming out. These are transit points for the entry of aliens, very high tech and need a large amount of electricity so are only used at outdoor events with lots of power cabling. Good luck. i always thought those toilets were gross and all, but the ones at SingFest were pretty clean and un-smelly. quite a nice surprise. but i still want to try it out. LOL.. The other day when I was taking the photo, it was smelling of dettol like smell. maybe it was not used yet. its best that u are the first few who used the portable toilet, else you better intake fresh air outside and hold your breath when u are in it. I visited a mobile toilet at a prayer meeting held on MMRDA grounds in Mumbai. There were kinda personnel employed to clean the toilets after a short time interval. I think you should open the door. Just once. And take a pic. You know, in the name of blogging. Btw, they look very cute and in a happy orange. haha.. all of you think i should open it?